Leaky Roof Repair: Before It's Too Late! Leaky Roof Repair: Before It’s Too Late! Have you been hearing a little drip-drip from the ceiling lately? Maybe you’ve noticed more water spots than usual? These are tell-tale signs of a leaky roof. Unfortunately, they often seem to pop up around the busiest time of year, the holidays. With damp, cold temperatures outside, the last thing you want to do is bring the elements indoors. Thankfully, if you snag a leak in time, you can repair it before it does major damage. We’ll show you how to get started on that repair now, so 2016 is a drier, safer year for you and your family. 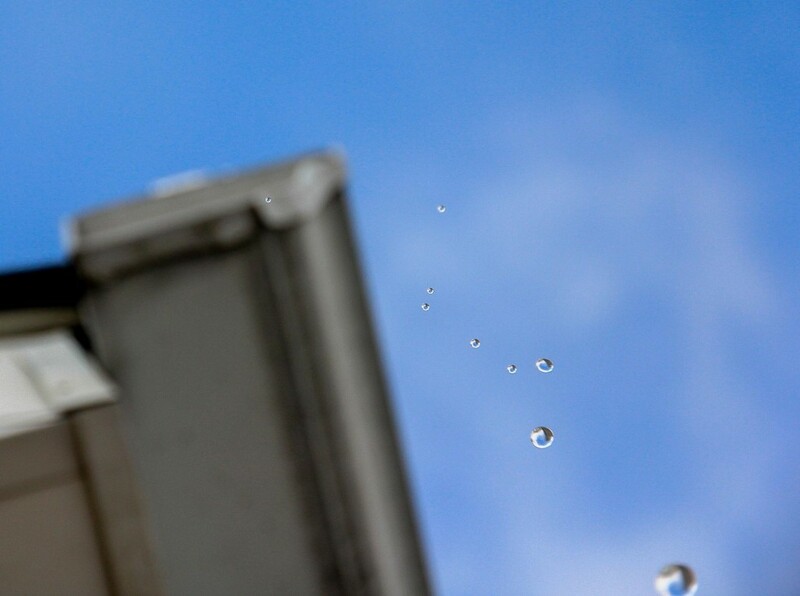 What Makes A Roof Leak? Well, besides punctures, holes and water, of course. Roof damage is often directly related to the environment and climate. You don’t need Bob Breck to tell you that the New Orleans area is smack dab in the middle of a subtropical climate. That means humidity, winds, rainfall and heat are to be expected year-round, as the past few weeks have shown us. And the subtropical climate that makes us so famous also has the ability to lead to internal and external damage in homes across the state. Among that damage you’ll find roof leaks that can create mold and lead to structural damage of the home. A leaky roof is the kind of thing that just can’t be put off. Before you start piling up buckets, learn how to check for leaks first. Many homeowners don’t realize their roof needs repair until stains show up on the ceiling or water starts gushing through. But you can stop a leak before it gets worse, with proper inspection. The trick is to start on the outside. Be aware of fallen pieces of mortar and damaged or slipped tiles. This damage will allow rain inside the home through cracks and openings. Have those areas repaired as quickly as possible to safeguard the interior of your home. Once untreated wood is met with rainwater, the internal damage is harder to take care of. As you check for leaks, be sure to do so safely. Always use a sturdy ladder and keep it three rungs or more above the gutter level. Have someone spot you while on the roof and never make inspections by yourself. You can also head into your attic with a flashlight to find the source of the leak. This is best done on a rainy day. Listen for the sound of water falling and use the flashlight to pinpoint the source. Be sure to mark the area so professionals can easily find it during repair. Of course, even with all the planning-ahead in the world, you still might experience roof damage. To ensure that the repairs are done properly and safely, you’ll need to reach out to a licensed roof expert in the New Orleans area. At Juneau Odenwald Roofing, we offer emergency service, as well as full inspections and assessments at no additional charge. If we do find roof damage, we’ll offer you a full repair service with a 100% satisfaction guarantee. Our team is prepared to properly take care of any damage, big or small, and leave you with a clean worksite. If you’re concerned that your roof may have a leak or other damage, contact Juneau Odenwald Roofing at (504) 733-0331. We’ll quickly make the professional repairs needed to protect your home and family this winter.